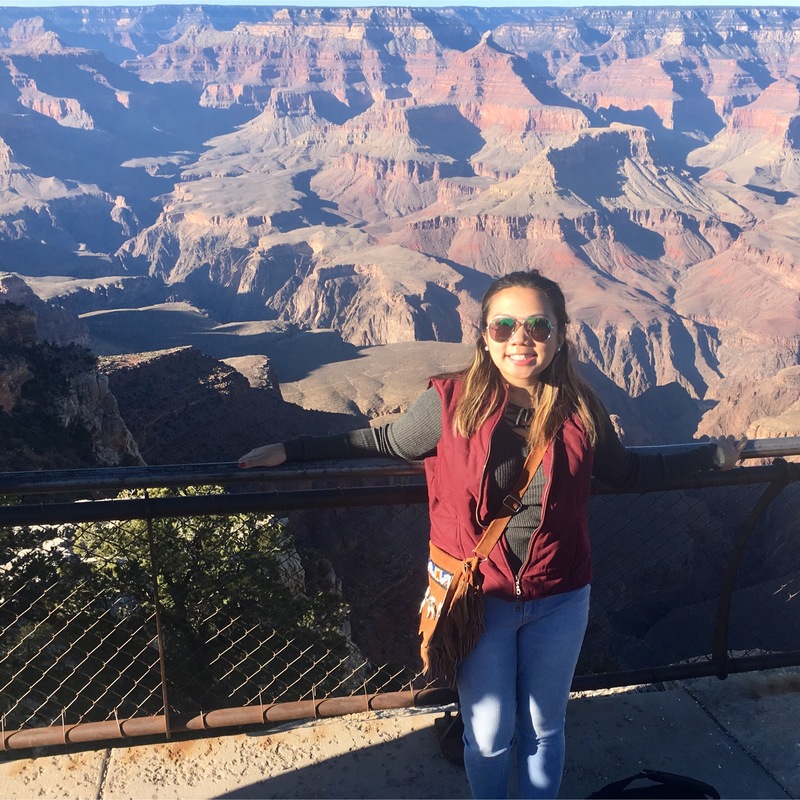 When you think about America and the country’s national parks, the first thought that might come up in your head is… the Grand Canyon. 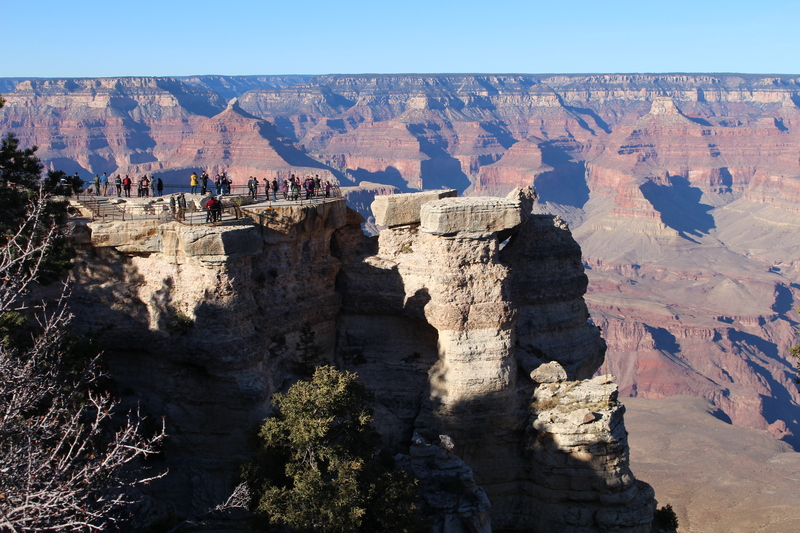 Grand Canyon is in fact one of the most popular and greatest tourist attractions in the country. The Grand Canyon is an immense canyon with layers of red rock that were formed from about 5-6 million years ago. 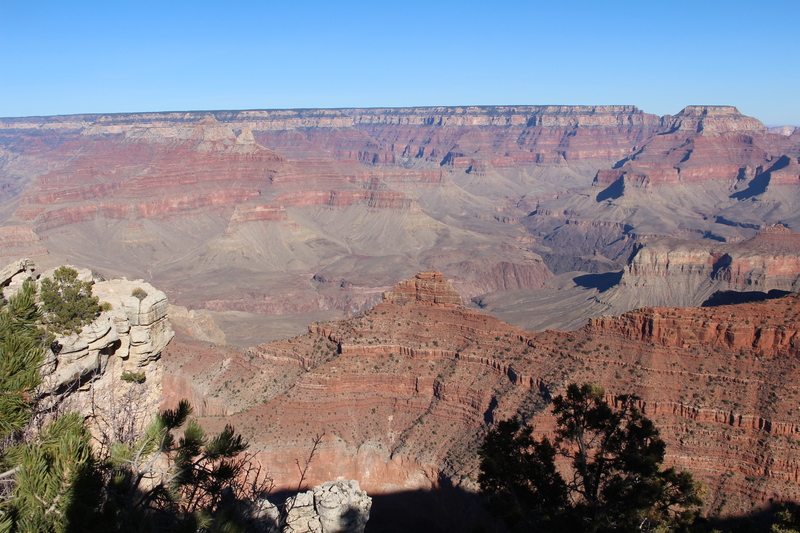 When you think of Arizona, you will probably also automatically think of the Grand Canyon. On my recent trip to Arizona, my parents’ new home (and also a place I can consider home now! ), my parents and I embarked on a road trip from Central Arizona to almost 4 hours away to go see this marvelous natural phenomena that are beyond words to even describe. It was even more memorable as I got to see this beauty on my birthday. It is considered one of the seven natural wonders of the world and one of the largest canyons on Earth. It became a national park in 1919 — three years after the creation of the National Park Service. It is 277 miles long (or 446 kilometers). 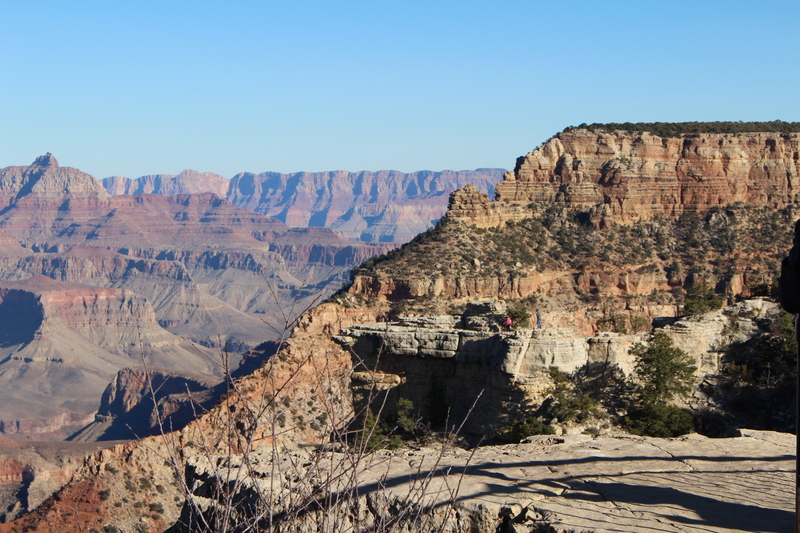 The Grand Canyon is around 6000 feet deep. The river that helped form the canyon is called the Colorado River and it runs across it, eroding the sides for millions of years now. 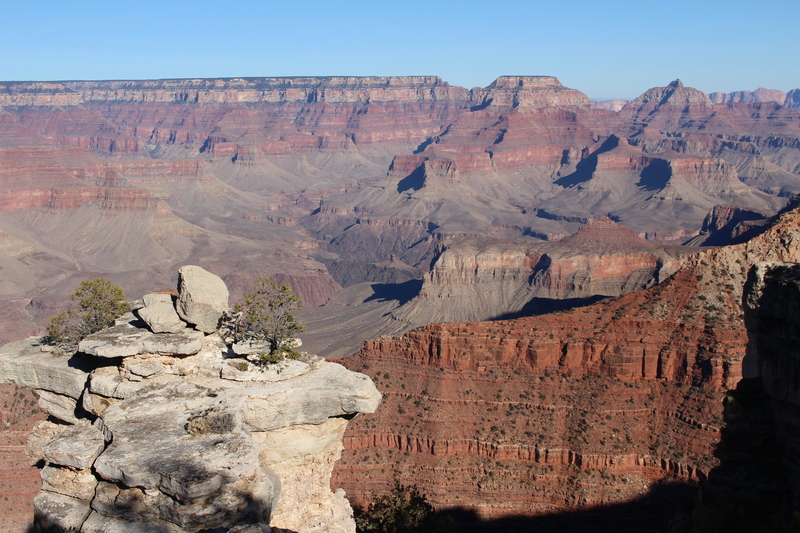 The rock on the bottom of the Grand Canyon was found to be 2 billion years old. 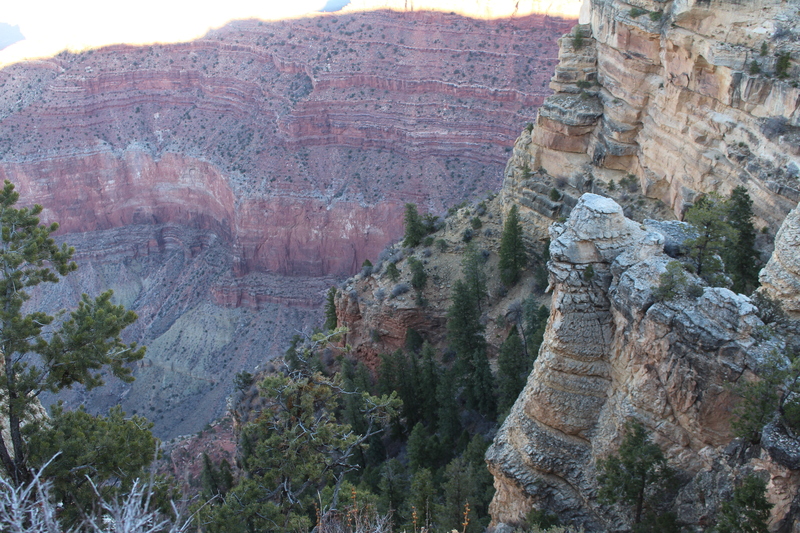 The canyon is good for hiking, camping, biking, mule riding, rafting, and sight seeing — all for the adventurous souls. The first expedition in 1869 was led by John Wesley Powell. 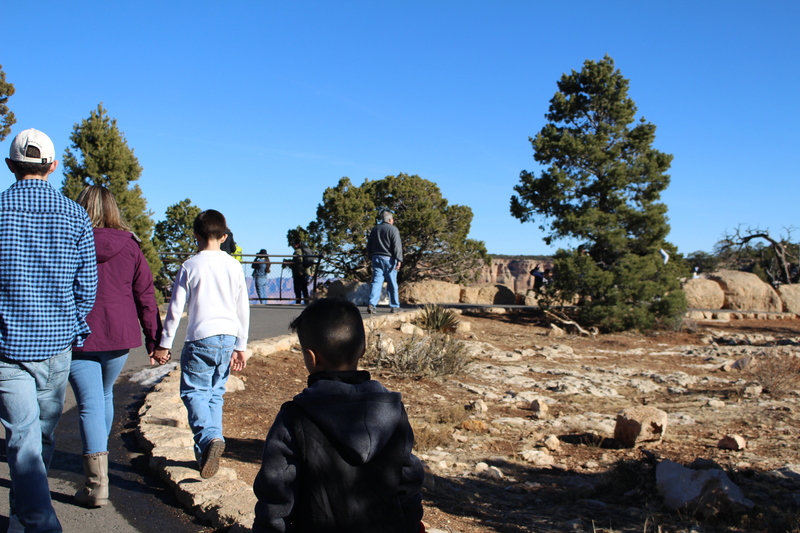 The national park attracts at least 5 million visitors a year. 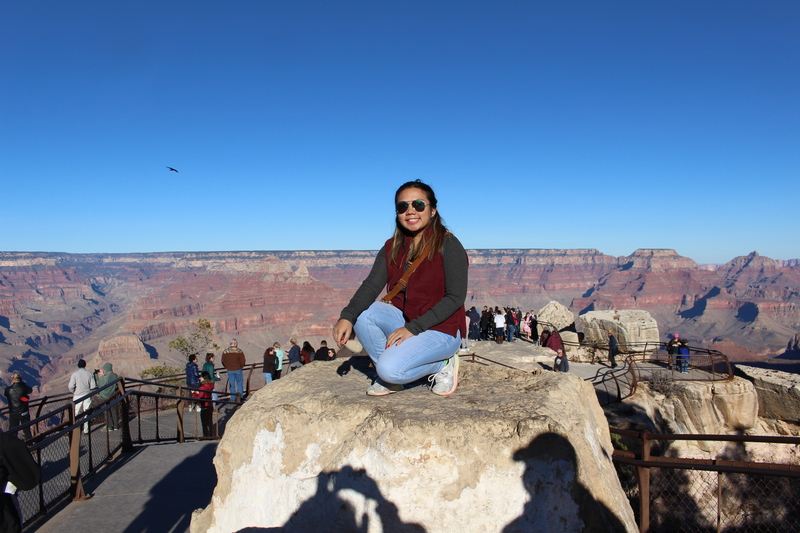 Almost two years ago, when I first came to Arizona, my family and I had arranged plans to go see the Grand Canyon before we took a trip to Las Vegas but we ended up in the PRICEY tourist attraction part of it (the west way) and in the end, we did not make it at all then. However, onto my second trip to this amazing state, I wanted to make it right! 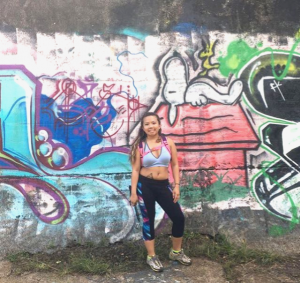 As travelers, it’s easy to get caught into the wrong destination sometimes and sometimes, better planning and researching is the only way to prevent that. I learned that just searching ‘The Grand Canyon” on the GPS and clicking on it and hitting the road after ISN’T the way to go. 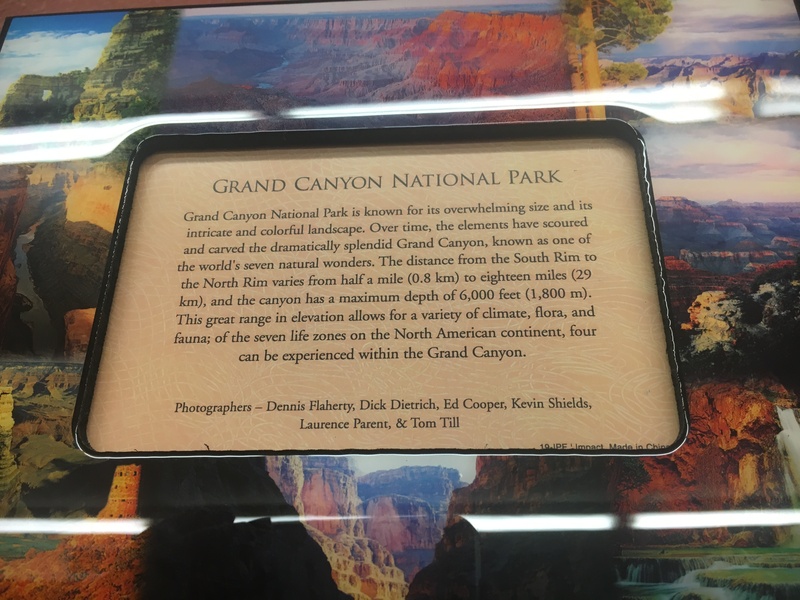 So I did plenty of research as soon as I arrived in Arizona for our road trip to the canyon. The destination that would present the wide magnificent views of the Grand Canyon (every rim way is spectacular but this one was worth it) and for a cheaper way to see it is called the South Rim. 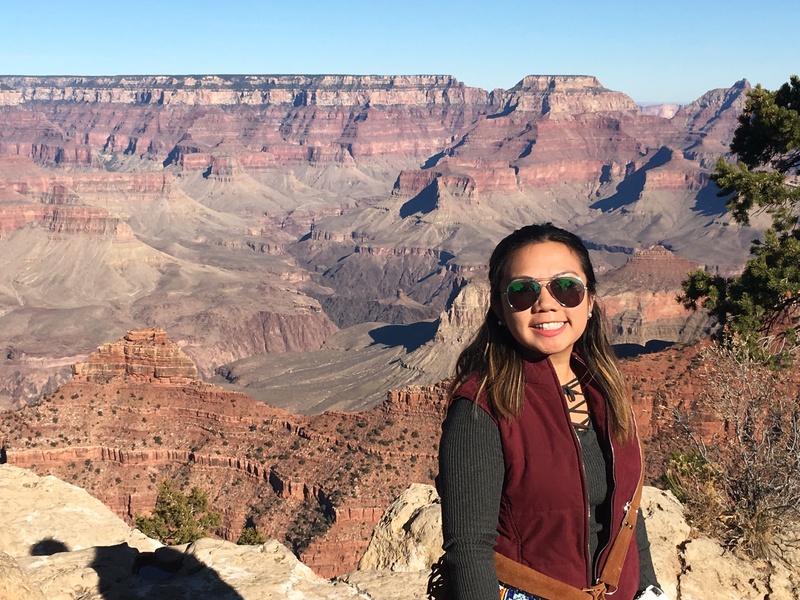 Within the South Rim, we would have to go to Mather’s Point to specifically get by the viewing point of the canyon and by doing so, you would have to arrive going up a mountain then stopping by gates where park rangers will take your payment to go inside the park. 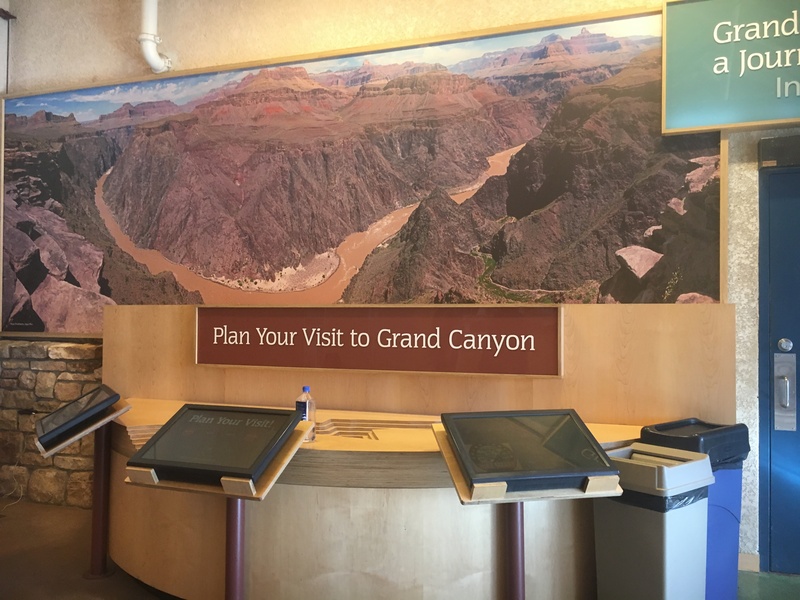 Indeed, you do have to pay to go inside the Grand Canyon per vehicle. 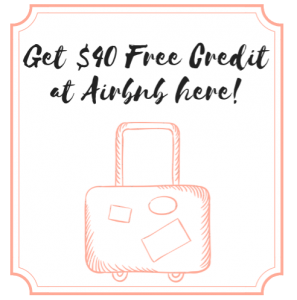 For the cheapest, from 1-7 days, you would pay $30 as we did. 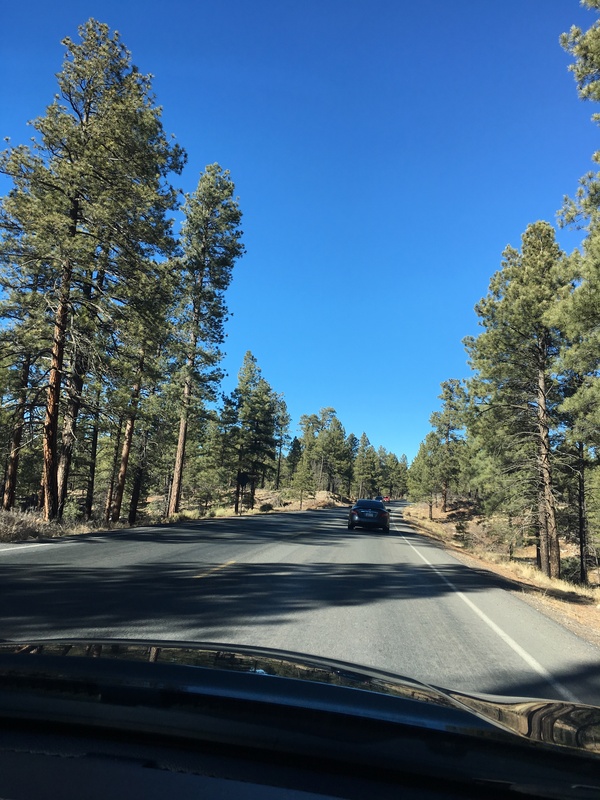 Within the drive up the mountain, you’ll pass by pine trees while you’re planning to look for parking by the Visitor’s Center. Don’t fret if you lose service, which is common as you go up higher altitudes, because there are plenty of signs to help direct you to whichever location you are looking for. 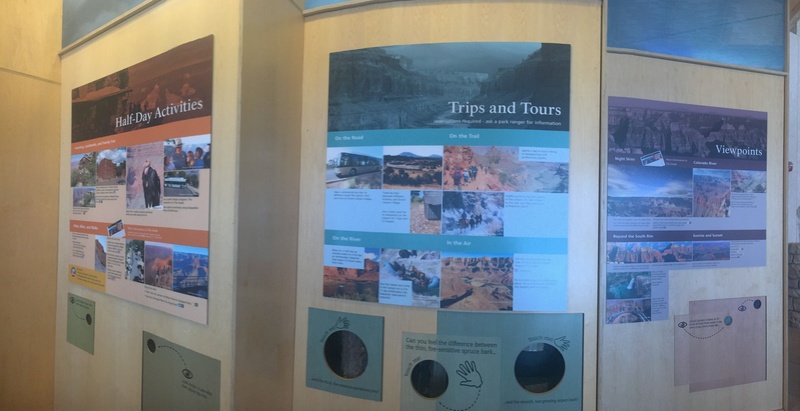 At the Visitor’s Center, you can pass by inside of it to get to the actual viewpoint at Mather’s Point. 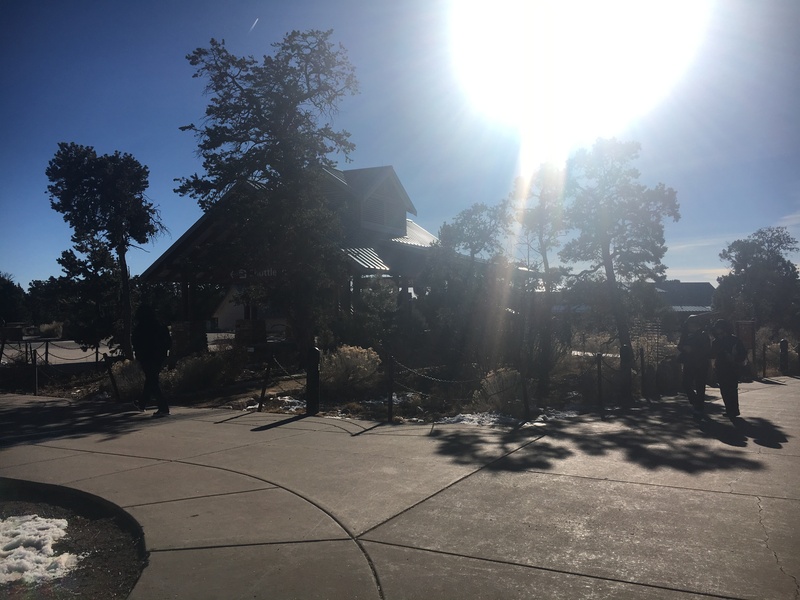 When you find parking and arrive at the Visitor’s Center, you can go inside the buildings to gain more info about the park, activities you can do, tours and trips, and viewpoints. 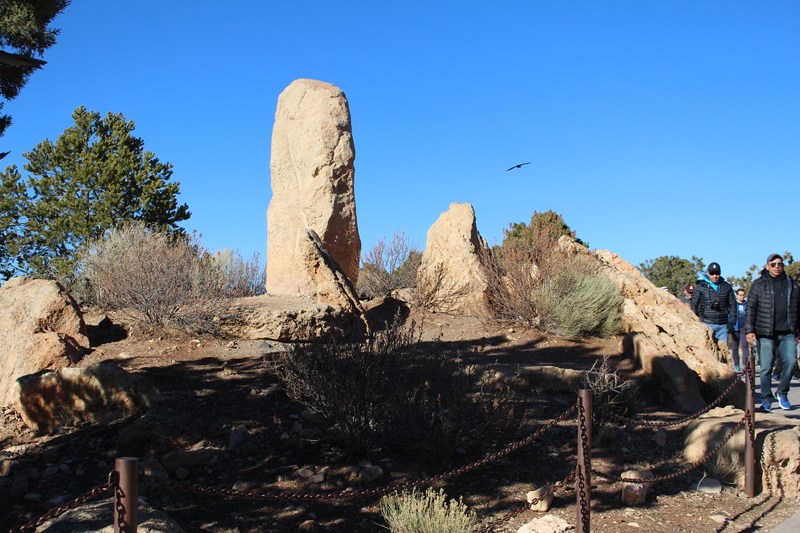 As we left the Visitor’s Center, we headed right to Mather’s Point, which was a couple mins walk from behind the building. 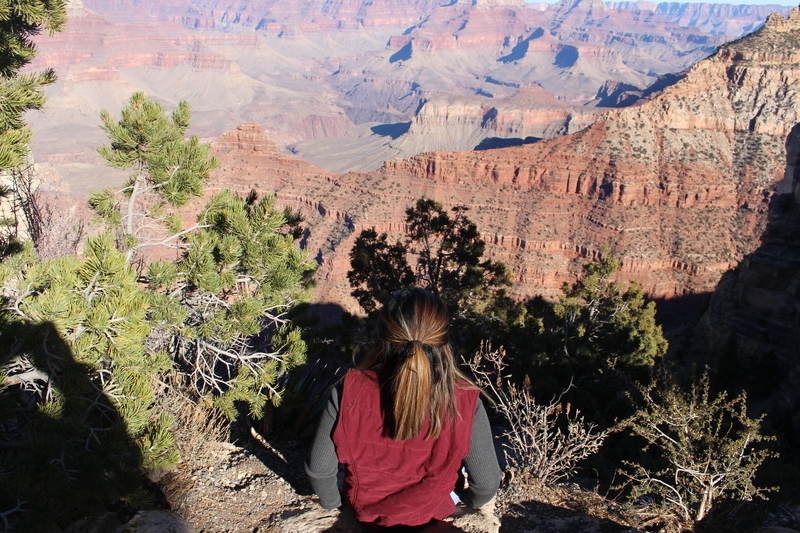 As soon as you walk in, you can see these crazy, grand, beautiful views of the canyon. 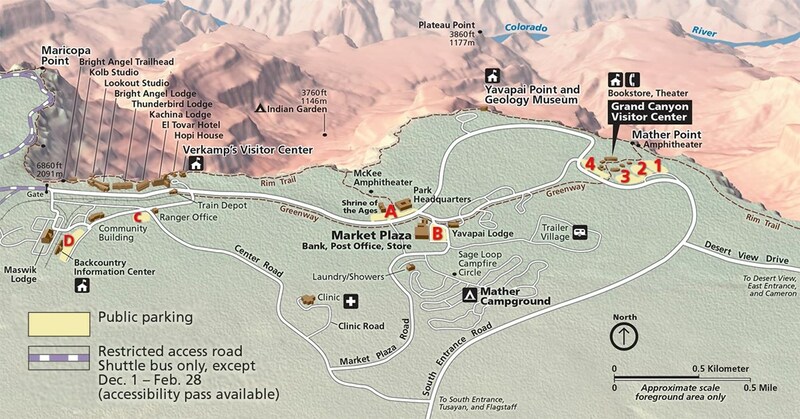 Mather’s Point is a few miles short and you can go from different sections to view the canyon. You can see snow! 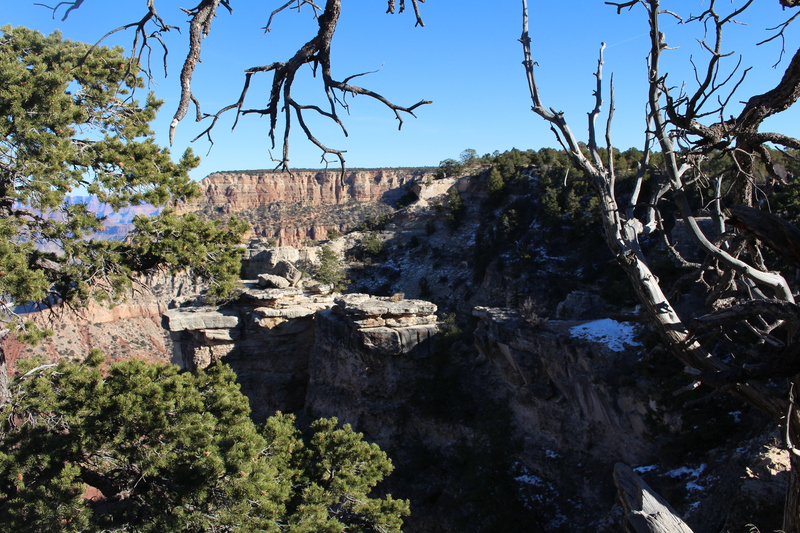 Yes, there was some snow on the corners of the canyon, especially close to where we were standing. My National Lampoon’s Vacation dream finally came true! After I took this photo of the Rock Squirrel, it came up and approached me and threw his hands up. I immediately stepped back. 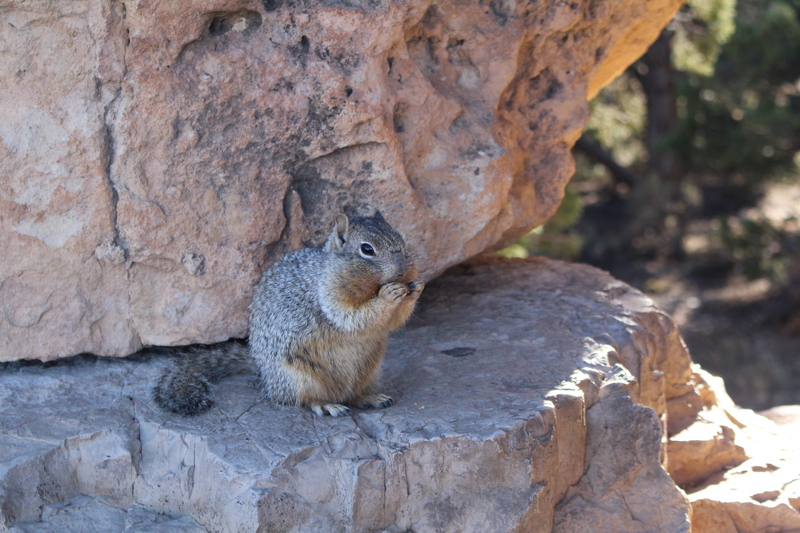 Apparently, I read dozens of visitors to the Grand Canyon are bitten by these squirrels since these squirrels are fearless of humans. They may look cute but be careful around them and don’t feed them! Not to mention, some of them carry fleas, which is horrible to put yourself through. The Rock Squirrel chomping down on a nut. It’s so deep down there! Nothing but a rock supporting my feet. 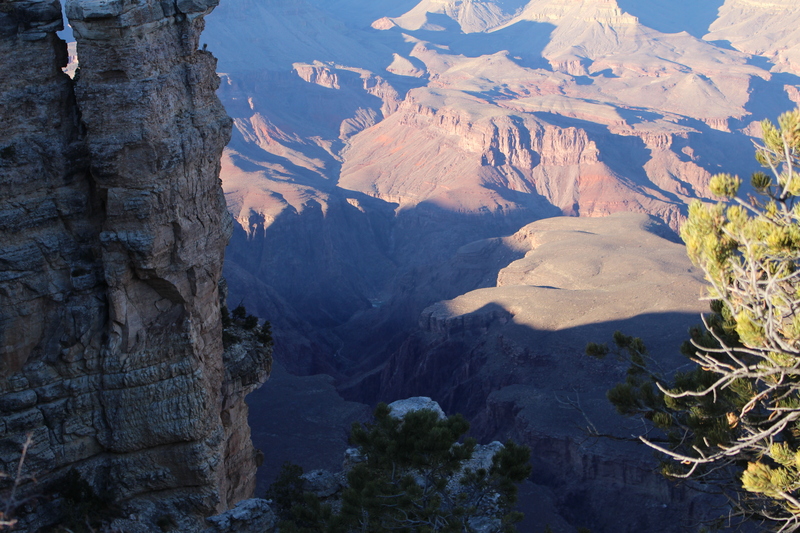 The Canyon seems to glow and appear bright, no matter the time of day and how many shadows are covering over us! 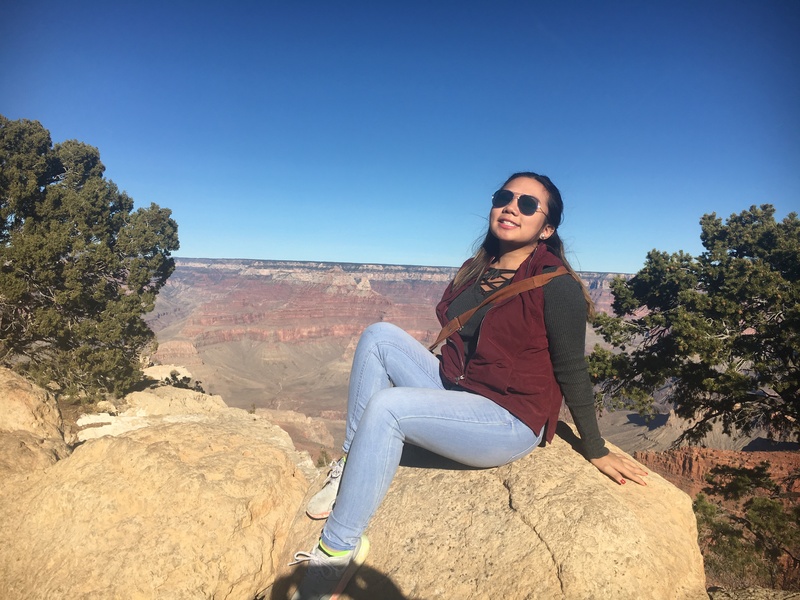 After we left the Grand Canyon and when we were driving out of the mountain, we saw the Grand Canyon during the sunset with purple and pink skies (unfortunately no photos were taken that time) and it was the most beautiful thing ever as it was glowing throughout! Unreal. Here is a shot of the Colorado River from the bottom. It looked sooo tiny from up to where we were. Here are where the railings are where full of people can hangout safely on top of the overlook rocks and a stone dedicated to Stephen Mather, the man who was named for this viewpoint. 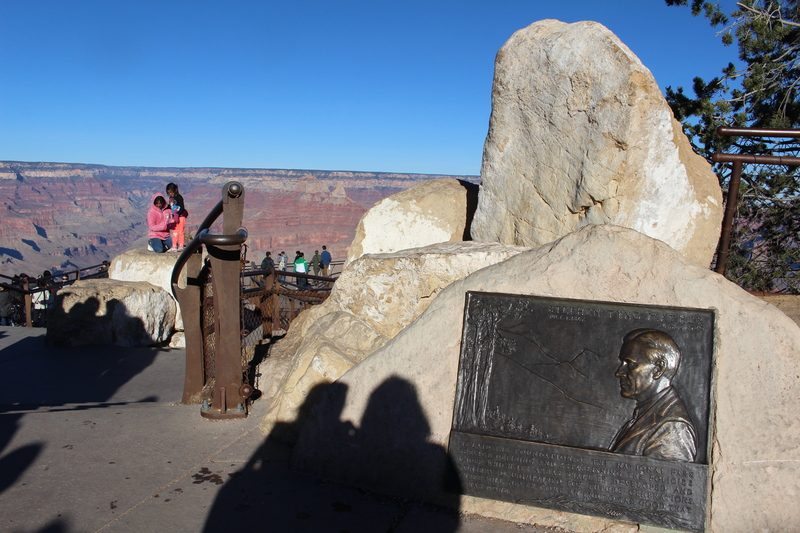 Stephen Mather was the first director of the National Park Service and was one of the main advocates for establishing the Grand Canyon as a national park. 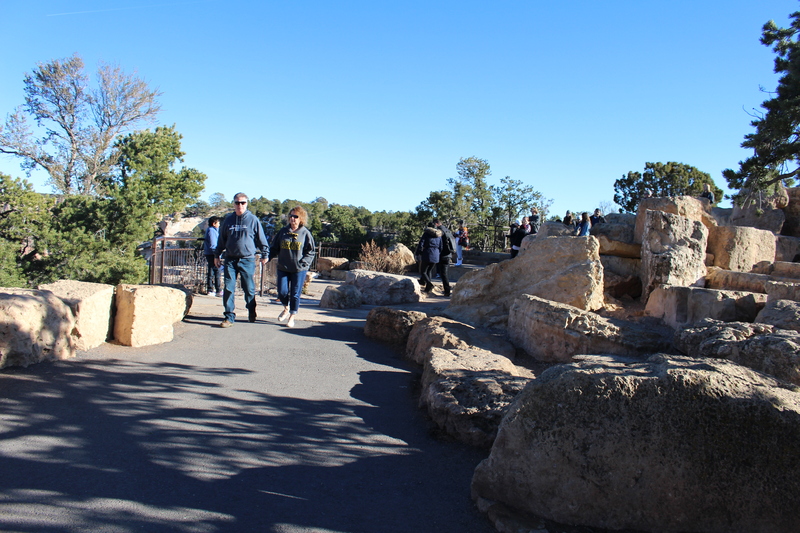 Many tourists lined up to take a photo on this rock in the center of the overlook. 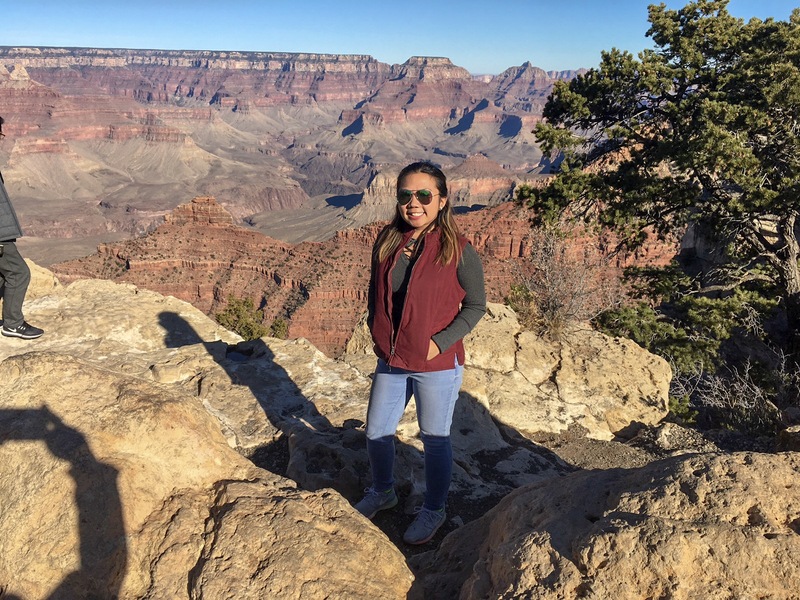 The Grand Canyon is definitely something you’ll never forget once you see it and if you’re just as curious as I was about this and love natural wonders, you will never get bored visiting this park. It’s so immense that you can see the Grand Canyon from outerspace. At night, if you’re driving around the mountain near the Grand Canyon, you’ll be amazed just how bright the stars light up above the Grand Canyon. 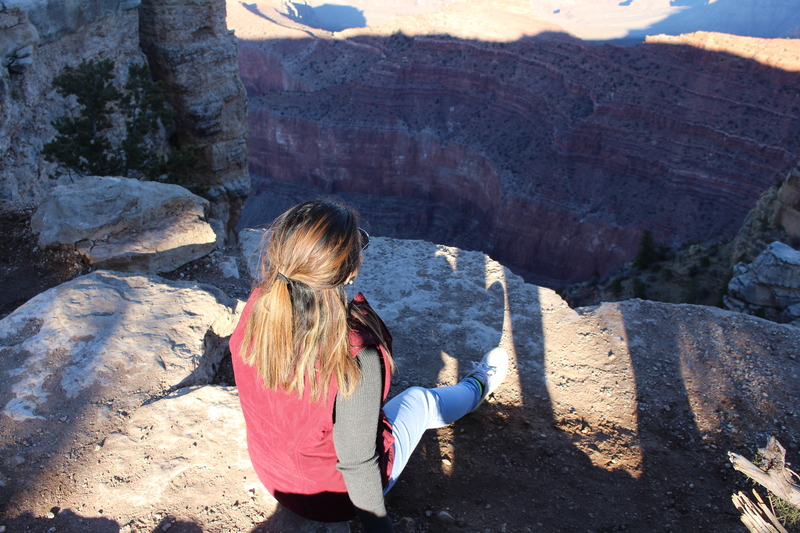 Everything seems to be connected to the beauty of this place and as you stand beside the canyon, it makes you feel like you’re being gravitated by the thousands of feet of rocks beneath you. 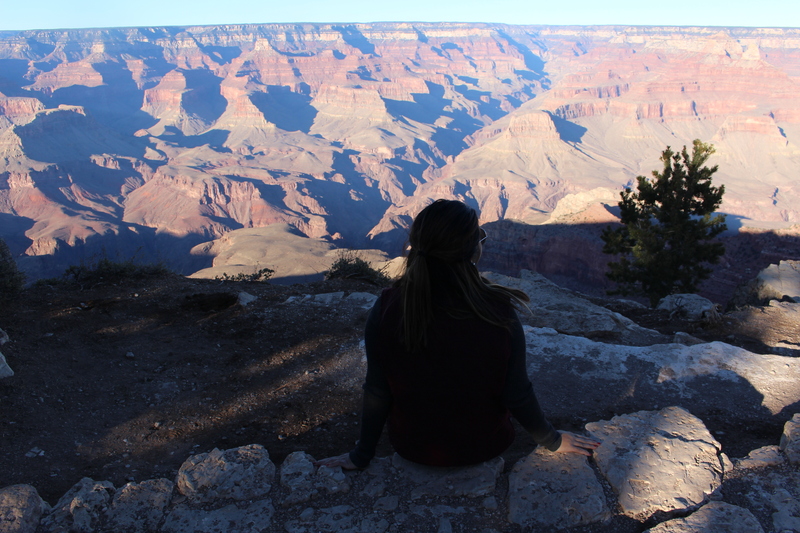 There’s really a lot that you will feel as you will try to describe the feels that the Grand Canyon gives off thus it’ll leave you speechless but at the same time, it’ll make you feel so incredible to witness such beauty. We are heading there in April! Great run through! My partner and I white water rafted down the Grand Canyon a couple of years ago, one of our best holidays. Magical place. That sounds really fun!! I definitely would love to experience water rafting there once in my life. I agree, it is so magical.